Add to the repertoire you are learning from your teachers. Expand what you know with insights from our panel. Enhance your skills with insight from different sources. 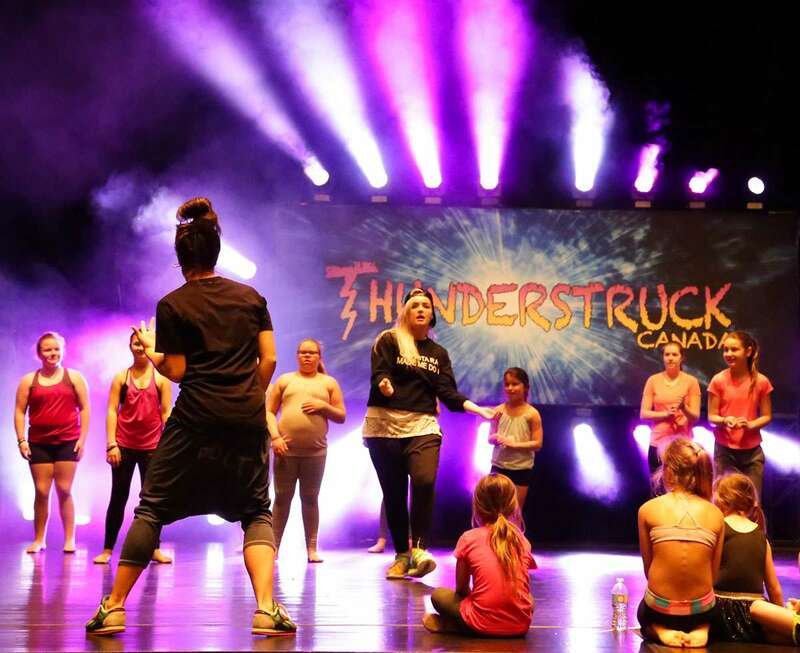 We offer a series of Master Classes at each Thunderstruck Canada regional event. Competition is an essential part of learning, but we feel these classes will add to the overall experience and growth of dancers knowledge and skills. Our adjudication panels meet the highest standard of excellence in both their ability to evaluate dance skills but also their capacity to teach technique and performance skills to dancers. Running the Master Classes at these events allow us to expose dancers to as many of these fantastic instructors as possible. Open to all ages, adults and teachers, we encourage everyone to consider participating. Classes will help motivate dancers for the competition, for their season and dance career. The experience will also add a fantastic memory of the event. From time-to-time (based on the instructor's decision), they will sometimes perform the choreography learned in the routine as part of the Positive Flash Gala.